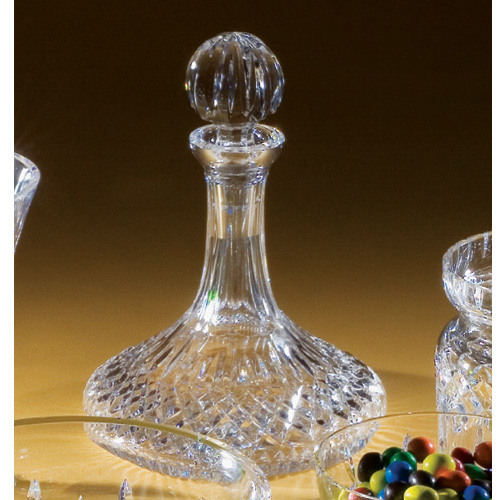 The Irish live in the spirit of togetherness, sharing and interaction. 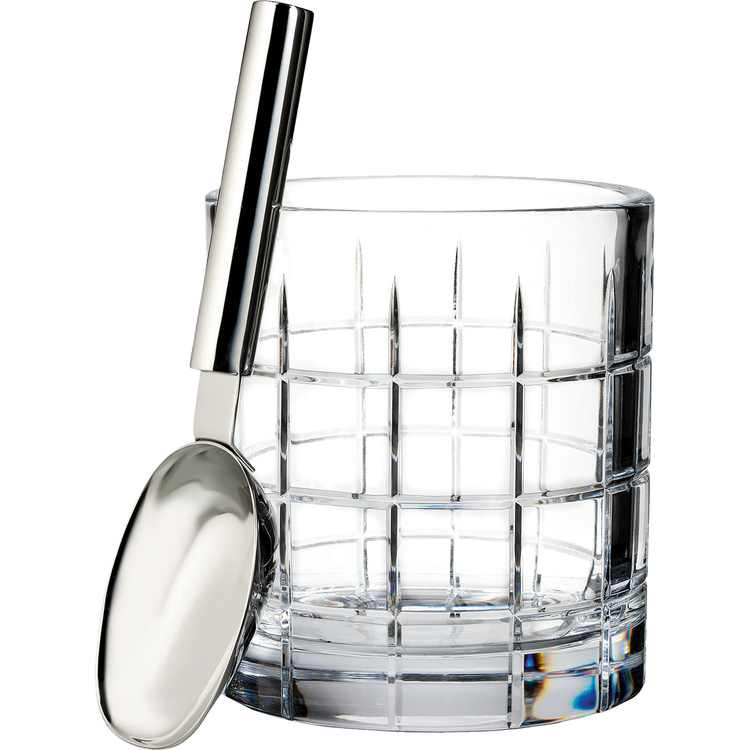 Inspired by this human connection, Waterford's Short Stories barware range is designed to bring people together. 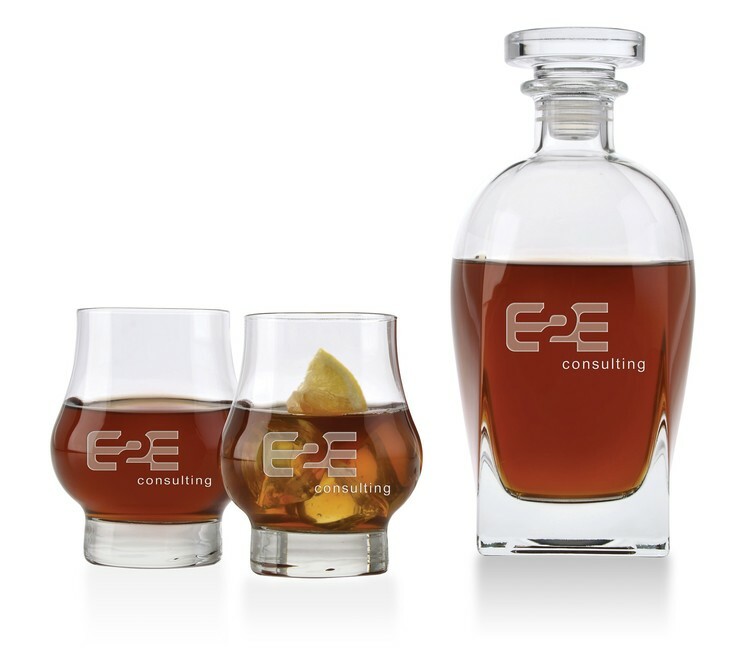 The Retro Short Stories collection combines unique cuts and retro style shapes to create an interesting mix-and-match barware story. 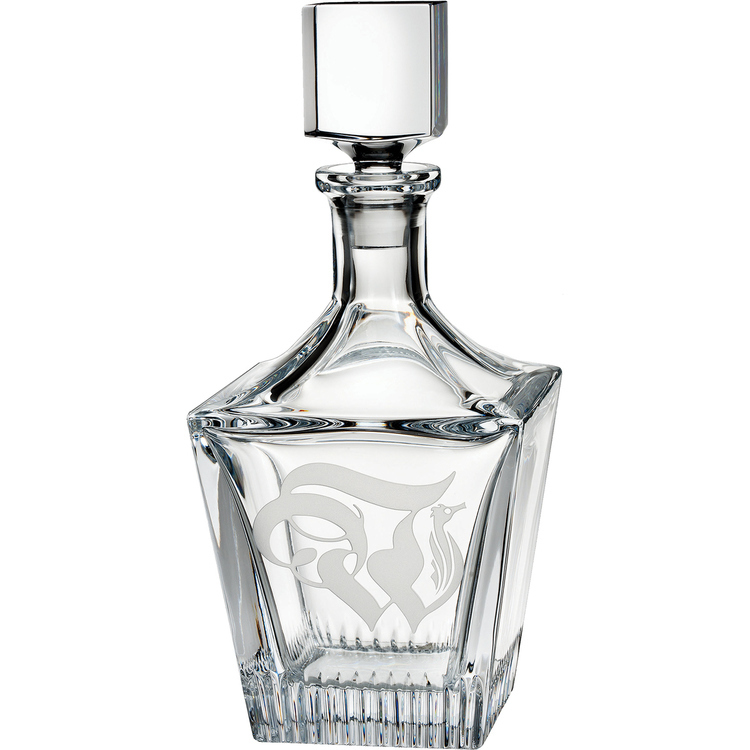 Featuring the original Waterford logo enlarged in a grey cut portraying the Viking style that is so prominent in Waterford's heritage, the Retro "W" Decanter is ideal for everyday use or entertaining to serve up your drink of choice. 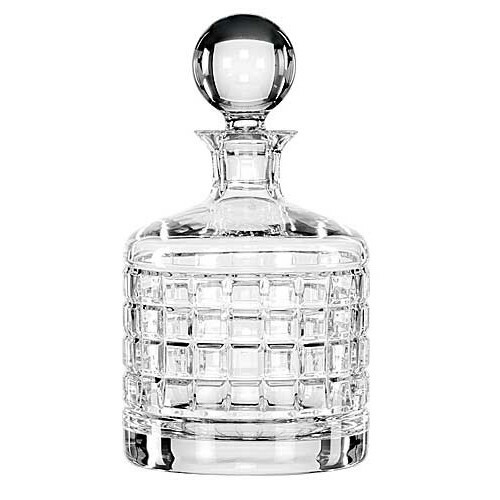 This London Round Decanter is ideal for any library, study, or home office. 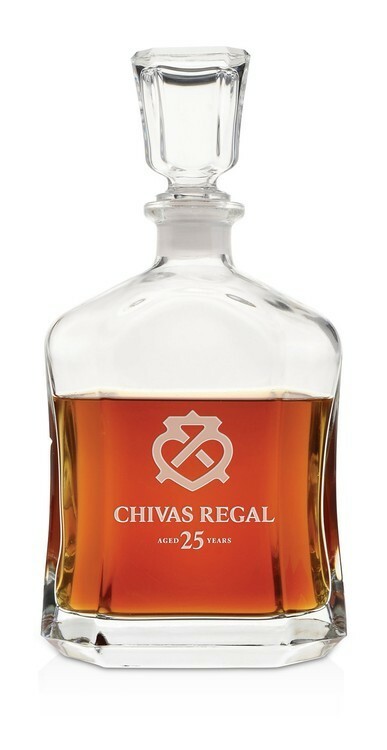 The Cluin Short Stories pattern is derived from the Irish word for read and features a grid-like design that pays tribute to the towering oak book shelves of Dublin's carefully preserved 18th century Marsh's Library, built three-hundred years ago. 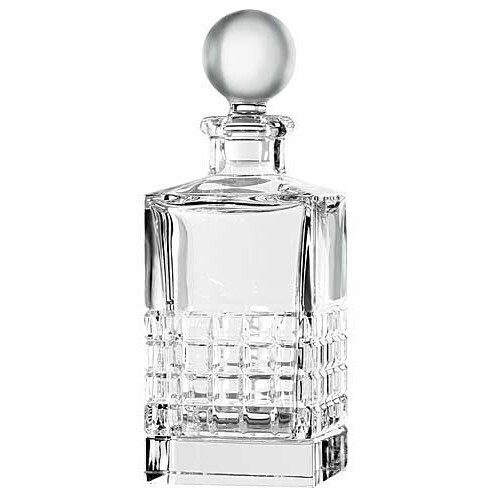 Ideal for everyday use and entertaining, the Cluin Square Decanter let's you serve drinks in style. 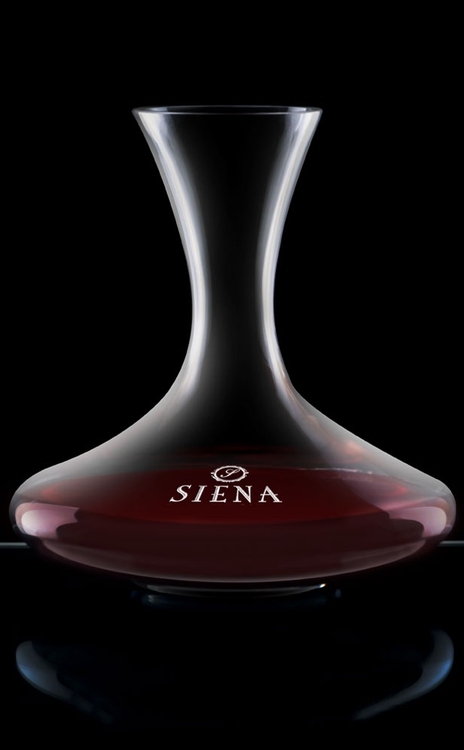 Perfect for gifting, the decanter is completed with a modern black marble coaster and presented in classic Waterford packaging. 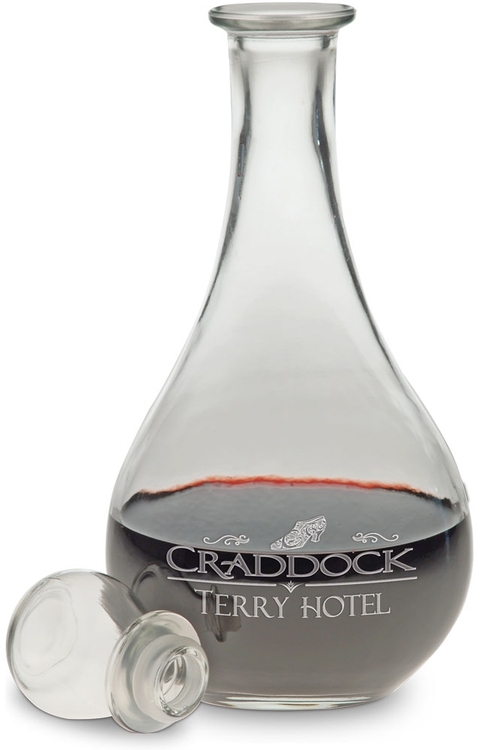 Spoken, written or sung, the Irish are famously verbose & social people known for their warmth, hospitality and generosity. 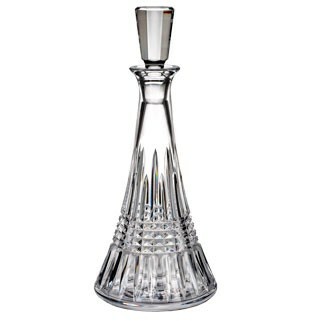 The Aras Short Stories pattern is derived from the Irish word for home & the design depicts a vertical cut representing the striking architecture of the turrets seen in Ireland's many beautiful castles. 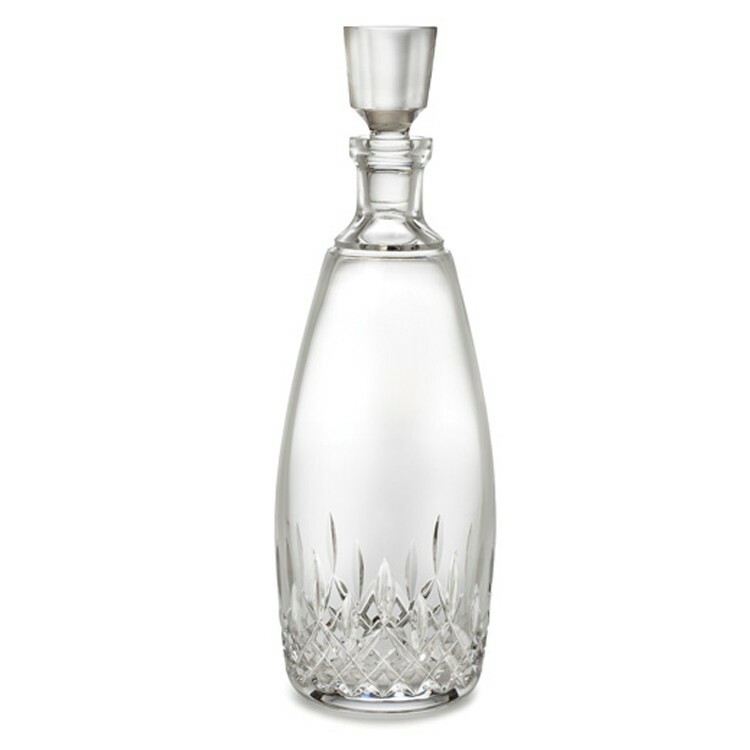 Ideal for everyday use and entertaining, the Aras Square Decanter let's you serve drinks in style. 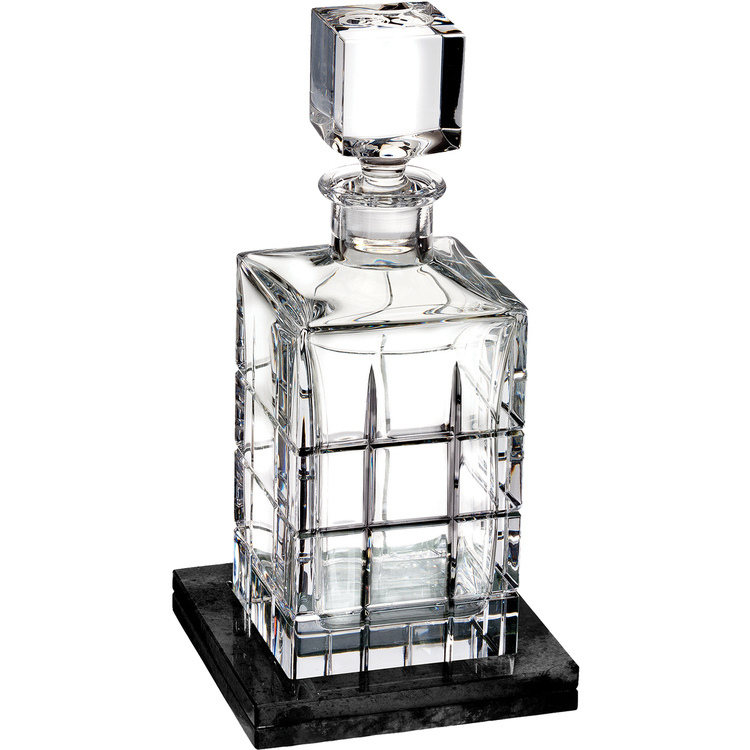 Perfect for gifting, the decanter is completed with a modern black marble coaster and presented in classic Waterford packaging. The Olann Short Stories pattern is derived from the Irish word for wool and the design is inspired by the famous Aran wool knit sweater and the Aran stitch, which is a 'Diamond Stitch' reminiscent of the small fields on the island. 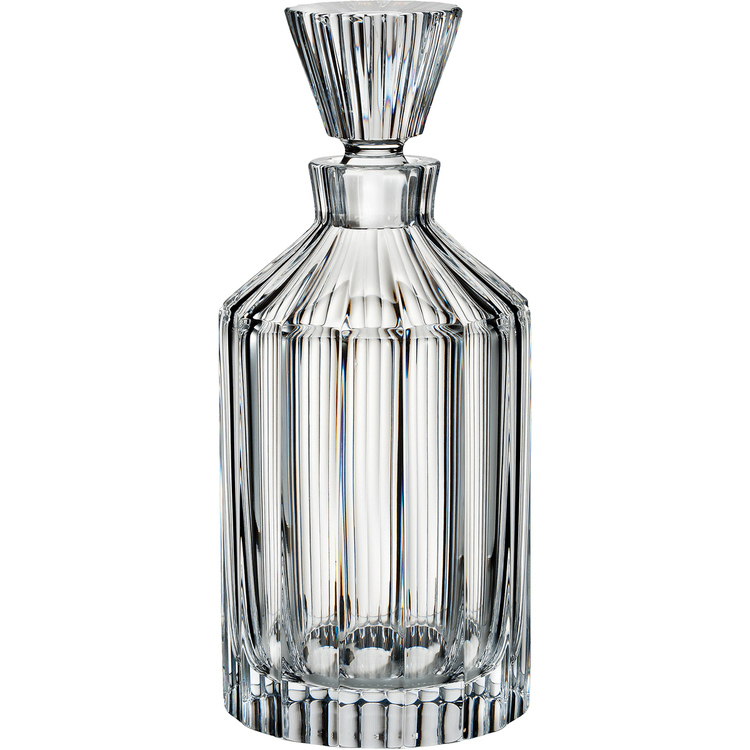 Ideal for everyday use and entertaining, serve up your drink of choice with this Olann Square Decanter. 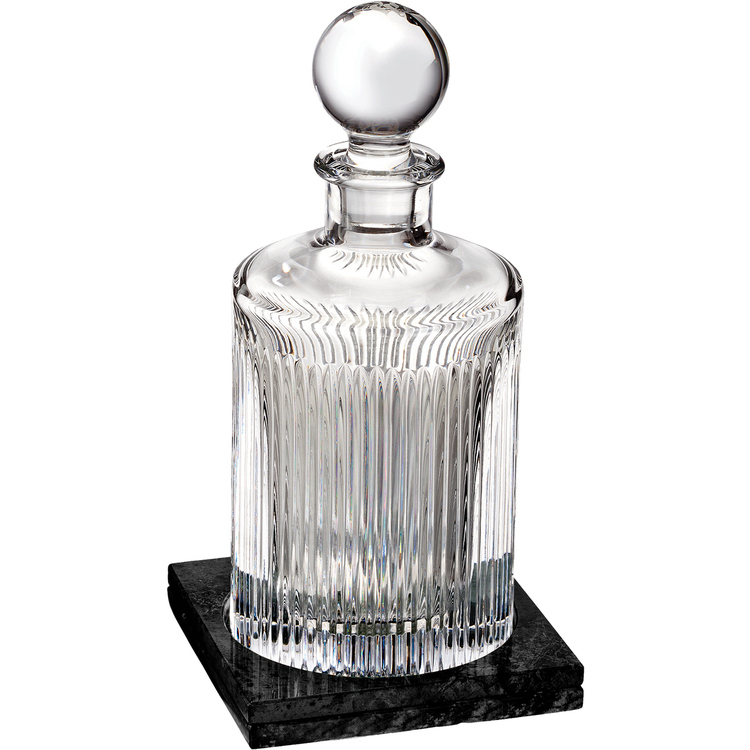 Perfect for gifting, the decanter is completed with a modern black marble coaster and presented in classic Waterford packaging. The Cluin Short Stories pattern is derived from the Irish word for read and features a grid-like design that pays tribute to the towering oak book shelves of Dublin's carefully preserved 18th century Marsh's Library, built three-hundred years ago. 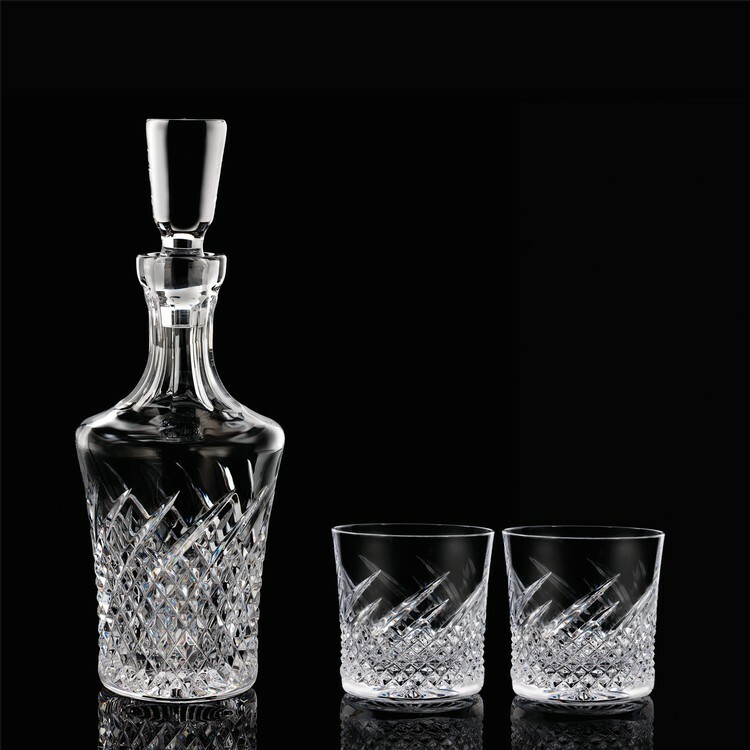 An entertaining essential, the Cluin Ice Bucket and Scoop is decorative and functional, presented in classic Waterford packaging. 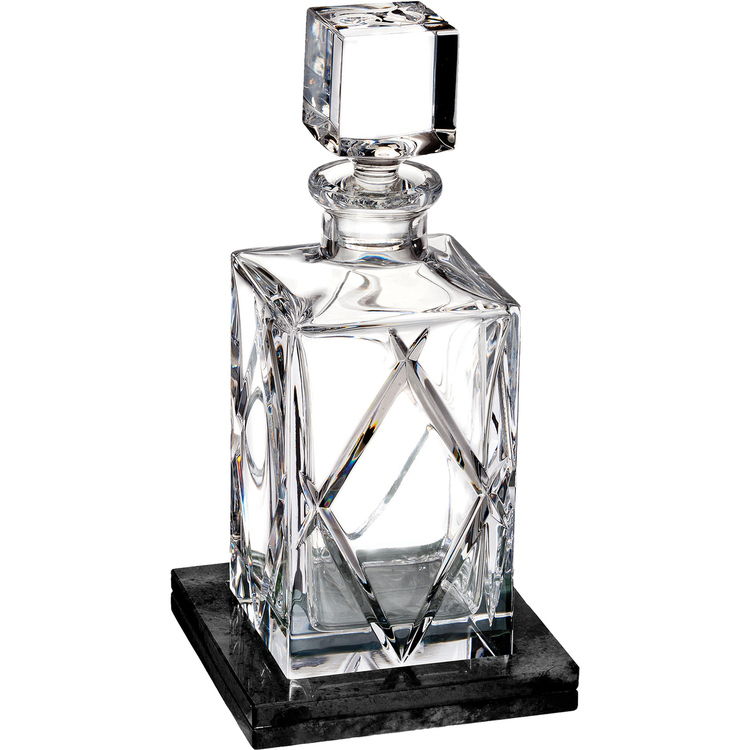 This London Square Decanter is ideal for any library, study, or home office. 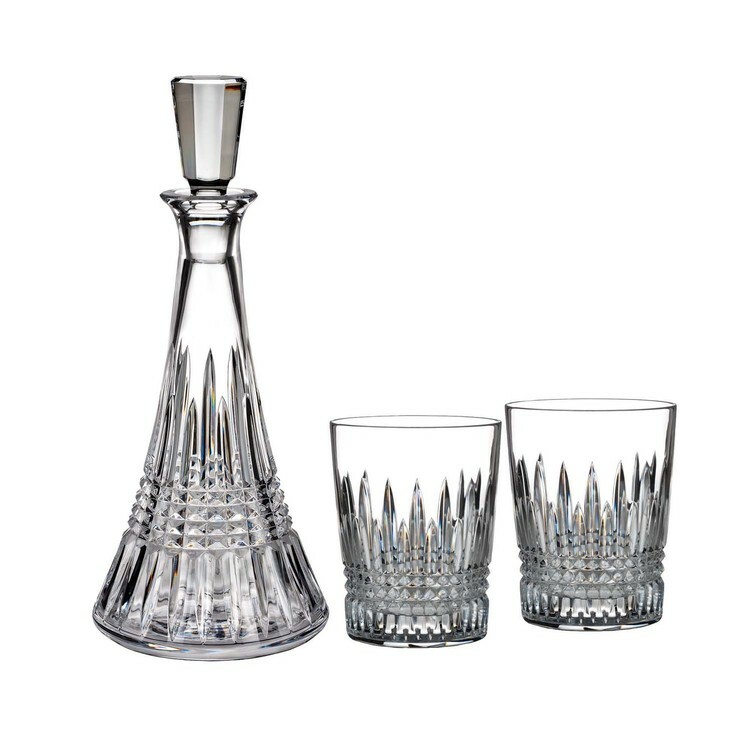 The clarity of this radiant Lismore Diamond Decanter and Set of 2 Double Old Fashioned Gift Set, ensures that the rich color of its contents is highlighted beautifully; serving as a feast for the eye as well as the palette. 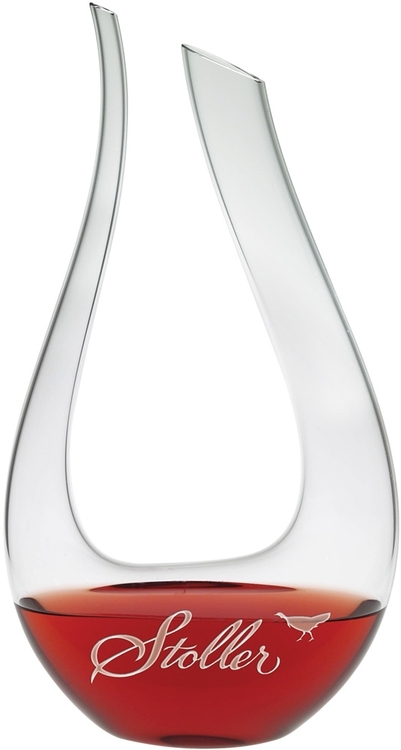 Decanter holds 52oz; DOF Glass holds 12oz.